Foggy Headlights? We Can Help! Many nighttime accidents are caused by the driver's failure to recognize road conditions. If your headlights don't shine as brightly as they should, you're visibility is poor, which may cause an accident. There are two main causes for foggy headlights. The most common of the two is the protective film covering most headlights. 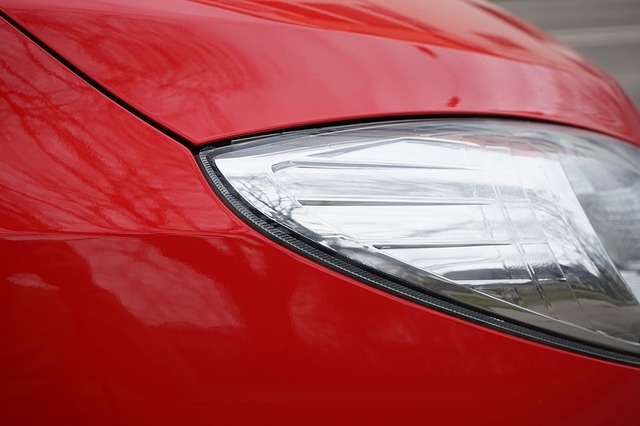 Almost all car manufacturers use hard, clear plastic for their headlights, so to combat wear and tear they apply a protective film over the lights. This film breaks down with normal use. The second cause for foggy headlights is structural failure. Headlights are designed to be moisture-free but of the surrounding area becomes worn, or your headlight cracks, water will seep inside. This usually accumulates at a very slow rate, but it will still be enough to produce a foggy appearance. There are specific chemicals designed to restore your headlights to their former glory. This involves a speed buffer or polisher, and can be done at home or taken to the shop. Some people have success cleaning their headlights with a standard bug repellant. While this is not recommended, it will temporarily remove the cloudiness of your headlight. In keeping with the 'standard household items' fixes, try applying a small dab of toothpaste to a rag and gently wiping the headlight surface. Then, wipe the headlight again with a clean, damp cloth. You'll be amazed at how effective this is! There is only one way to fix this. You'll have to replace the entire headlight assembly with a new one. This can be done by taking your vehicle into any auto body shop. If you need your headlights replaced or polished, contact us for an appointment at 519-338-2017!